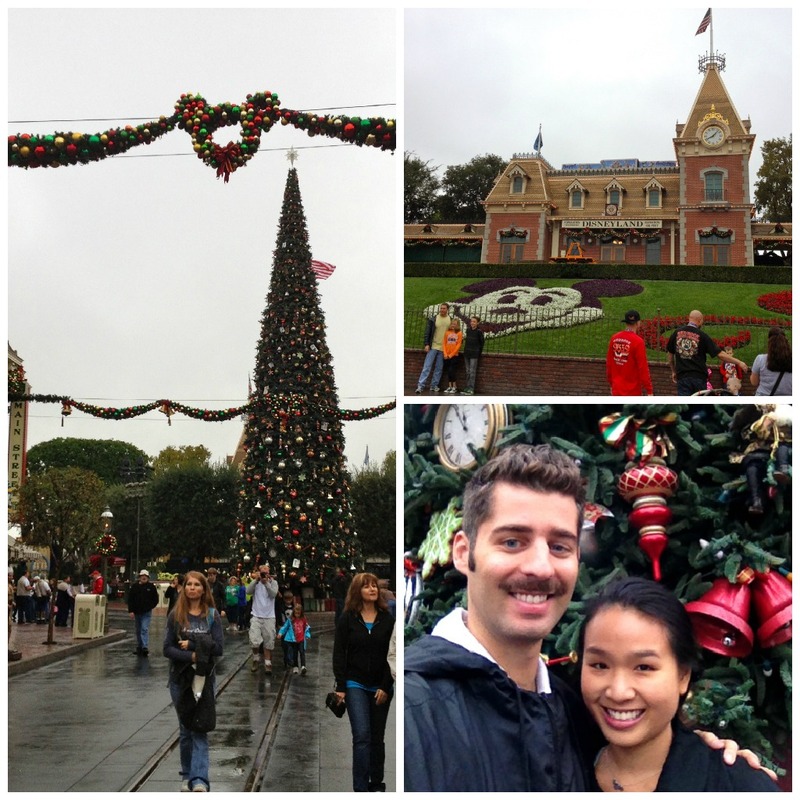 What is it about Disneyland that makes you feel giddy and bubbly like a kid? I found myself waving and pointing fanatically saying, “Oh my god, there goes Winnie the Pooooh!” And even though I knew better, I still couldn’t help but think, wow, I just saw Pooh bear. I guess that’s the magic of Disney. It was a fitting place to celebrate Chris’ birthday! Chris and I stayed at Hotel Menagé in Anaheim, which is in walking distance of the Park. (Though I would still recommend taking the hotel-provided shuttle since it’s a quick ride and $5 round trip.) 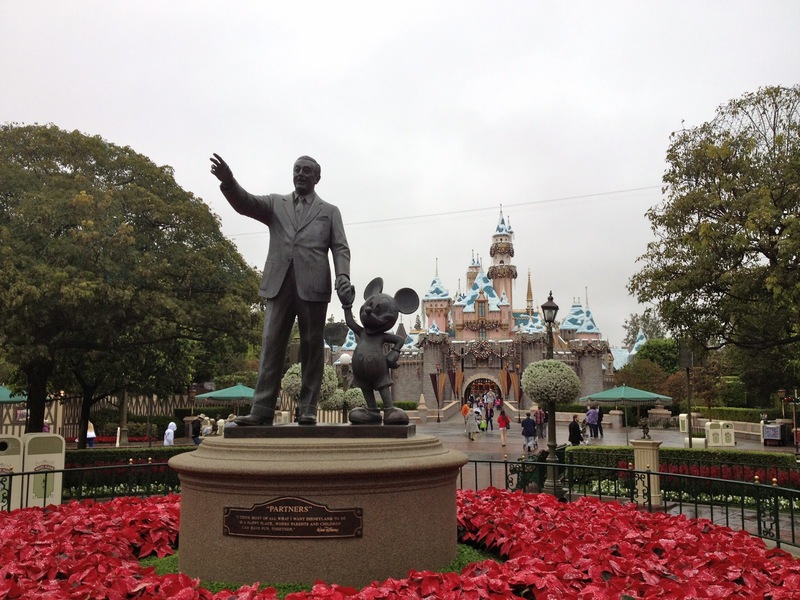 We started the day bright and early arriving at Disneyland as it was opening at 8am. You can get a free pin when you get to the Park if it’s your birthday. It’s pretty cool because Chris kept having total strangers wish him ‘Happy Birthday.” And we did the same to other people we saw with the birthday pin. It was raining but at least that thinned the crowds a bit. We were able to get on the Matterhorn ride before 8:30am! As you may have noticed, Chris has a moustache. Oh Movember. The best part of the day was going to Minnie’s house to meet her. I was adamant about buying a pair of Minnie ears before going though. 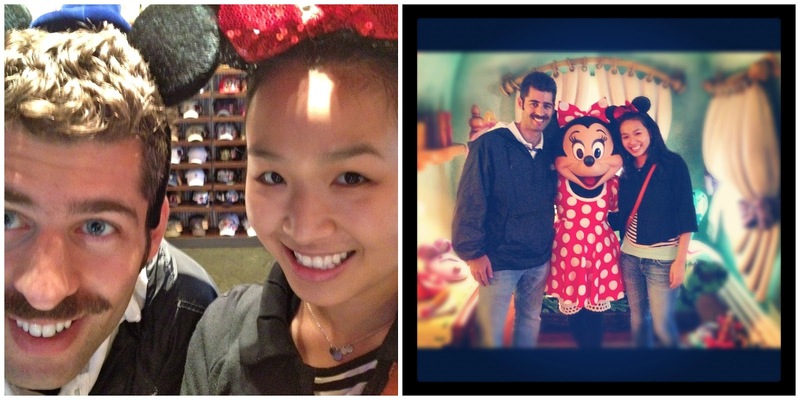 I wanted to look just like Minnie when we met. I think she noticed. Chris and I didn’t have to wait more than 30 minutes for a ride. And the ride that we did have to wait 30 minutes for, we didn’t even get to go on! 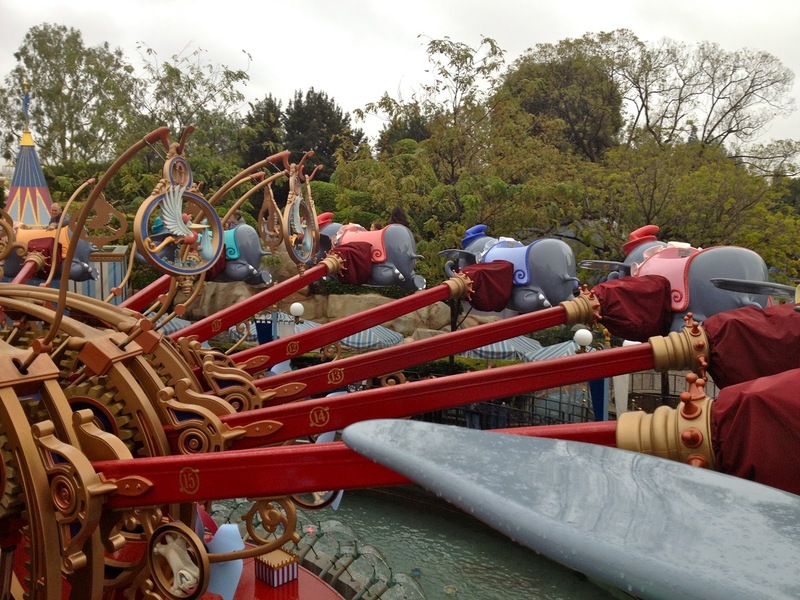 (Mysterious mechanical failure on Peter Pan’s Flight). My favorite rides include Big Thunder Mountain Railroad, Pirates of the Caribbean, and surprisingly, Roger Rabbit’s Car Toon. I totally forgot about Roger Rabbit! It was cool seeing characters from my childhood. I got a huge dose of nostalgia which just made me want to be a kid again. Remember Chip n’ Dale Rescue Rangers? I loved them growing up. View from Dumbo, the Flying Elephant. The only bad ride (in our opinion) was Star Tours in Tomorrowland. You’re strapped down in a seat inside a box and then out comes the pilot, C-3PO, who you learn is going to show you around a “galaxy, far, far away,” and then you suddenly find yourself in the middle of a rescue mission. You’re then flung, tussled, shaken all about, battling Stormtroopers among other things trying to take you out. These near-death escapes and shout-outs got me so dizzy, I thought I was going to be ‘that girl’ that throws up on everyone. Anyways, Star Tours put us totally out of commission for an hour or so. That was the only low point of the day. After we got our equilibrium back, Chris and I spent the rest of the day going on as many rides as possible. For dinner, we ate at Carnation Café on Main Street (our only real meal of the day) and it was pretty good. 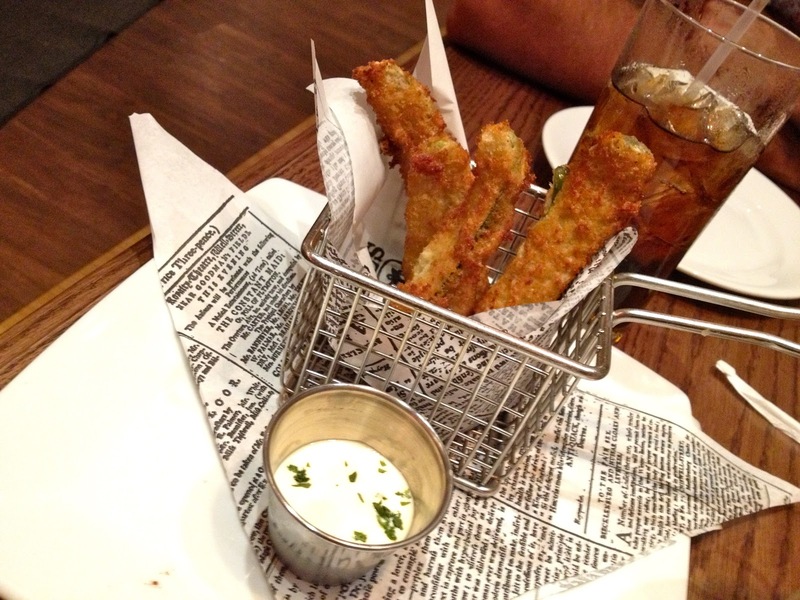 I ordered the fried pickles and baked potato soup. Chris got their burger. The prices are very reasonable for a theme park! I would recommend making reservations since it does get very busy at dinner and you’ll most likely have to wait. 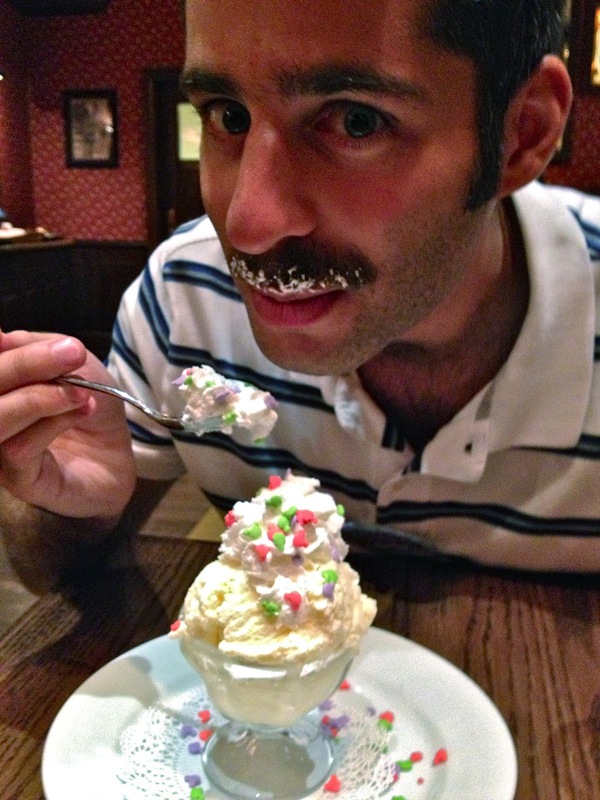 Our server gave Chris a free ice cream sundae because it was his birthday! The next day we headed to Huntington Beach for an ocean-side brunch at Zimzala with our good friends Candice and Vince. 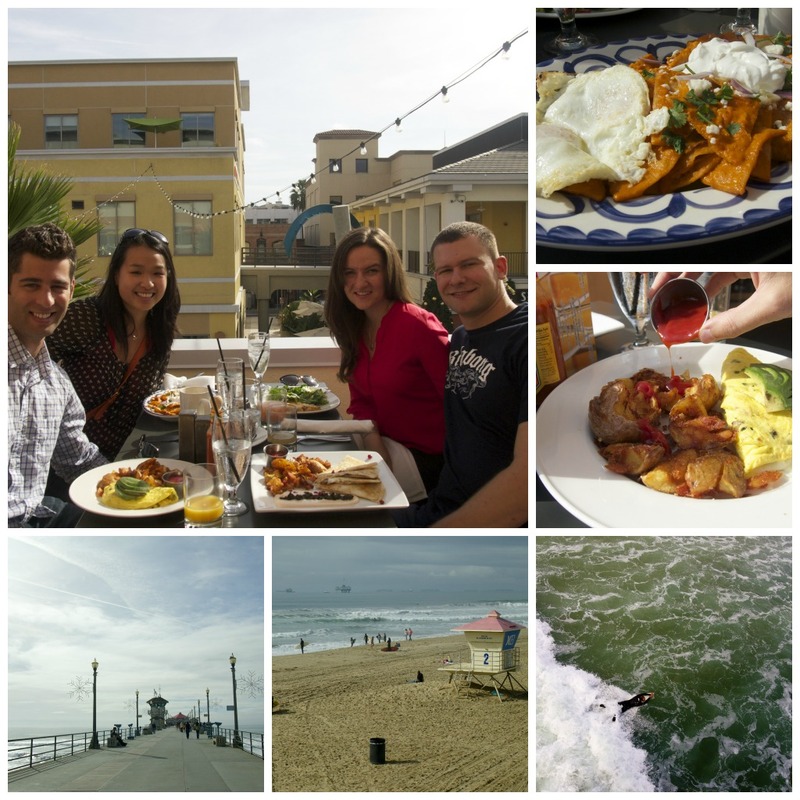 From Left to Right: The four of us at Zimzala, Chilaquiles with two eggs, California omelet and potatoes, a surfer riding the break, a view of Huntington Beach, a view of the pier at Huntington Beach. After brunch we headed to Santa Monica, the last stop on our mini-road trip. Santa Monica is super cute. We checked out the promenade, Main St., and of course the pier! That night we had a lovely meat-filled dinner at Ushuaia, an Argentinean steak house where you can get steaks and empanadas! I love it! To cap off the night, we met up with more friends afterwards at a speakeasy called Basement Tavern. Before we left on Sunday, we made a quick stop at Venice Beach. Pretty much the opposite of Santa Monica. It’s got some interesting characters. Hope to be down there soon! And with some sun this time, please. 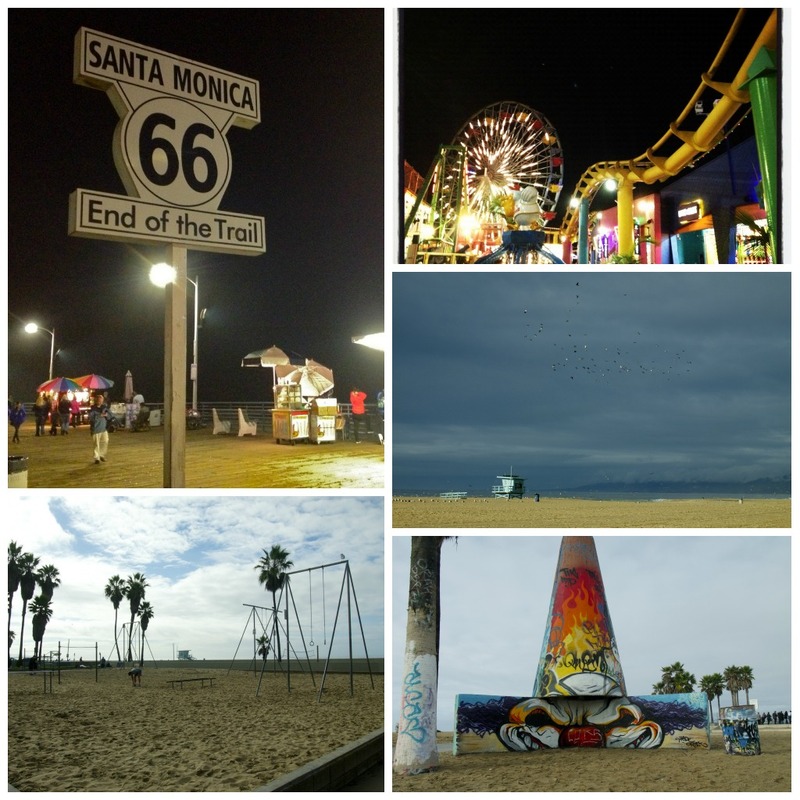 From Left to Right: End of Route 66, rides on Santa Monica Pier, view of Venice Beach, graffiti artwork, Muscle Beach Venice. < Previous Road to Disneyland: "We Were Told There Would Be Sun"